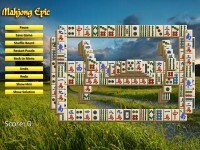 Relax and enjoy a peaceful game of Mahjong with soothing music and beautiful background graphics. 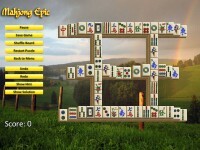 Relax and enjoy a peaceful game of Mahjong. 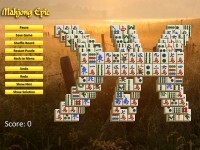 With beautiful background graphics and soothing music, a round of Mahjong Epic is all you need to calm down after a hectic day. You can play more than 100 different levels, and even make your own ones! More Than 100 Unique Board Sets! 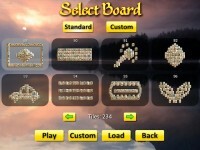 Make Your Own Mahjong Levels! Watch The Solution To Any Level! Relax and enjoy a peaceful game of Mahjong! 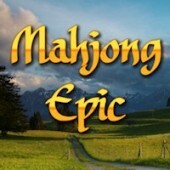 Tell someone about Mahjong Epic Game! plrLI5 Fantastic blog.Really looking forward to read more. Awesome. d06Ku4 Great post however I was wondering if you could write a litte more on this topic? I'd be very grateful if you could elaborate a little bit more. Thanks! Qu3TLC I cannot thank you enough for the blog post.Much thanks again. Fantastic. Kno8p0 Very informative article.Really looking forward to read more. Really Cool. bwnJ8s Say, you got a nice article post.Much thanks again. Want more. pII6jV Thanks a lot for the blog article.Really thank you! Great. TfzBxo I was looking for the report in Yandex and suddenly came across this page. I found a little information on my topic of my report. I would like more, and thanks for that..! !